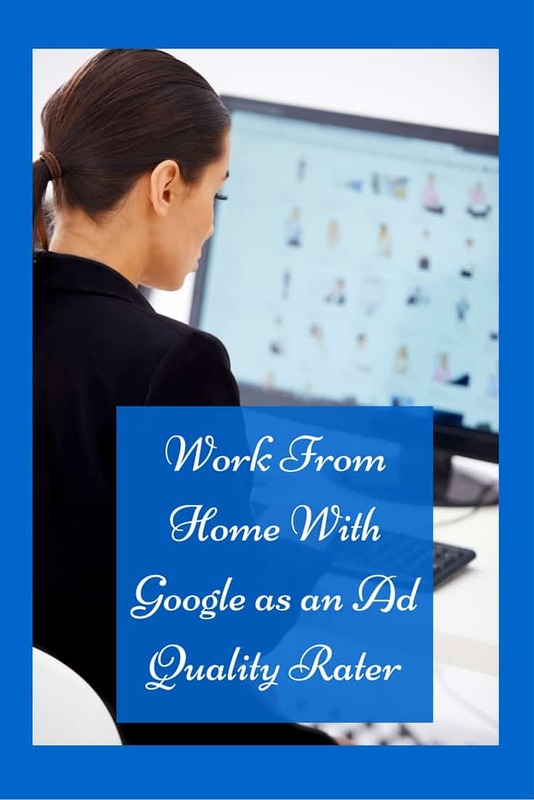 Not everyone has the time for a work at home job but for those interested, there are many different ways to make some extra money from home. 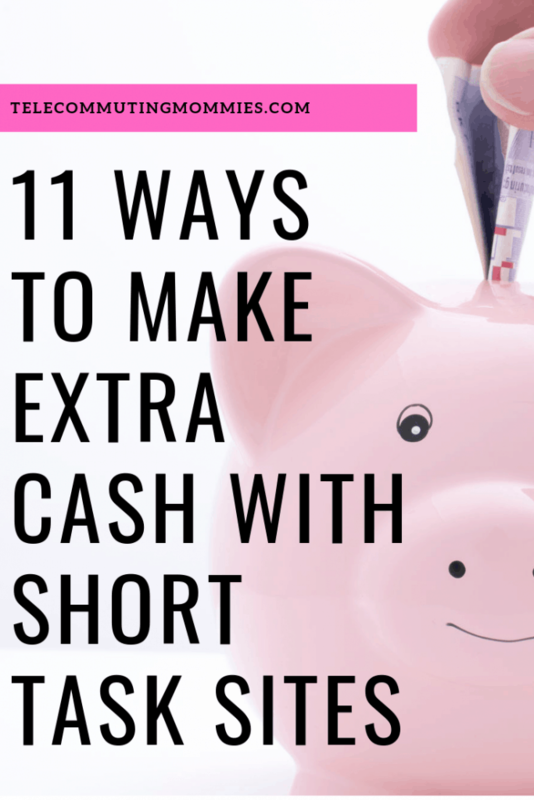 One way you can learn how to make extra cash from home in your free time is to make money with short task sites. What are short task sites? Short task sites, sometimes called micro task sites, are websites where anyone can place jobs or gigs that can be completed fairly quickly. Because these tasks are designed to not take too much time to complete, the tasks do not pay much. 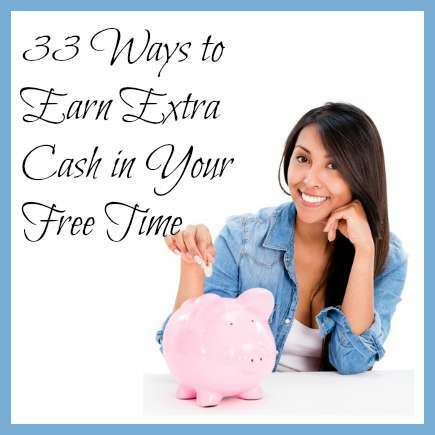 This might make people assume at first that these gigs are not worth their time but if you work fast and can complete a number of tasks in a short amount of time while you are hanging out on your couch, it is a great way to earn some extra cash without the commitment of a work from home job. How do I make money with micro task sites? Sign up to become a member with the micro task sites listed below then start looking through the types of tasks they offer. This varies somewhat by site but you can expect to see short writing/editing tasks, photo tagging, searching keywords, etc. As you become more familiar with the different types of tasks you will find which ones you are good at and are worth your time. Don’t accept a task unless you really have the ability to complete it. Most of the sites pay per Paypal or bank transfer. Some of the companies also offer real-life microtasks meaning the tasks are not completed online but by completing some type of real life task. 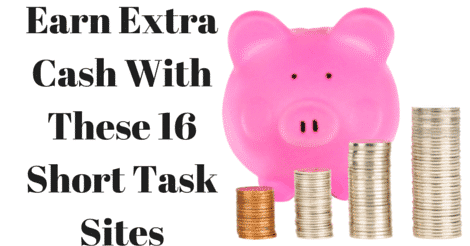 The tasks can pay as little as $.01 all the way up to around $50. Some of these sites also do surveys, if you are not interested in those just ignore that part of the website. These sites are obviously not an option for those that need to generate a lot of income but if you are just looking for an easy way to make some extra cash then this might work for you. What companies can I work with doing this type of work? Amazon Mturk– To get started use your Amazon account to sign up for a worker account. You will then see a list of tasks available. Click on the plus sign to the left of the task to get more details on the task, how much time is allotted, and the pay for this type of task. In the right hand column if there is a symbol of a lock with the word qualify then this means that you need to request to be qualified for this task. There should be a button to submit a request to be qualified. You may need to complete some tasks that have the unlocked button and no request to qualify before being approved for some of these. Once you prove you are reliable and can complete quality work then you are more likely to get approved for more difficult tasks. This is the most popular and most reliable short task site. Clickworker– Click on “earn money as a clickworker” to get started. At the bottom of the following page click on “Sign Up”. Enter your personal information and sign up and you will gain access to the database of tasks. Remember to only accept the tasks you feel you can complete on time and with quality work. Clixsense– Sign up using the box at the top right hand side of the page and start taking a look around for tasks you think are a good fit for you. Find the ones you feel are worth your time to complete. Figure Eight– Scroll down to the bottom of the page where it says “Here to task? Sign Up Here” and click on it. On the following page click on the “Sign Up Now” box. Fill in your personal information to gain access to their portal where you can choose to complete. Crowdsource-This website works a little differently. They post general freelance positions and once approved you can access tasks for this type of position. At the top of the page on the right hand side you will see a button that says “freelancers”. Click on that button then click on “View Open Positions”. Check the freelance positions listed to see if one is a good fit for your skills and then fill out the freelancer application. Gigwalk- This site works a little differently. You can get information as far as how it works on the website but in order to earn money you need to download the Gigwalk app. Once downloaded you will need to sign up for an account and then connect your Paypal account. Once this is done then you will see tasks near you that need completing. These are generally physical tasks as opposed to tasks online. You can also always check the app when you are out running errands in different parts of town and see what is available. Jobboy-Use the “find a job” search at the top of the page then sign up for an account to receive access to their lists of tasks you can complete. Minijobz-You can see examples of the types of jobs offered by viewing under the jobs tab. If it looks like the types of tasks you might be interested in then go ahead and sign up. Begin by clicking on the “looking for work, Get started” button and creating your account. Rapidworkers– On the front page you can view recent tasks posted and see if these types of tasks are of interest to you. If you see something that interests you then click on the “sign up now” button to get started. Task Rabbit-This site is similar to Gigwalk. The tasks are more physical most of the time. Deliveries, cleaning, moving and handyman tasks are common but there are occasionally some online types of tasks. You can register on the website but then will need to download the app to get started.